Capital of the southern Brazil state of Rio Grande do Sul, Porto Alegre is a sophisticated, prosperous city of approximately 1.5 million inhabitants. Waves of immigration from Italy and Germany as well as the region’s gaúcho culture give this city a distinctive feel. While it is more a business destination than a tourist destination, it makes for good place to spend a couple of days before visiting Gramado, the Cânion Itaimbezinho, the Serra Gaúcha or other places within the interior of Rio Grande do Sul. Porto Alegre is also a host city for the 2014 FIFA World Cup. 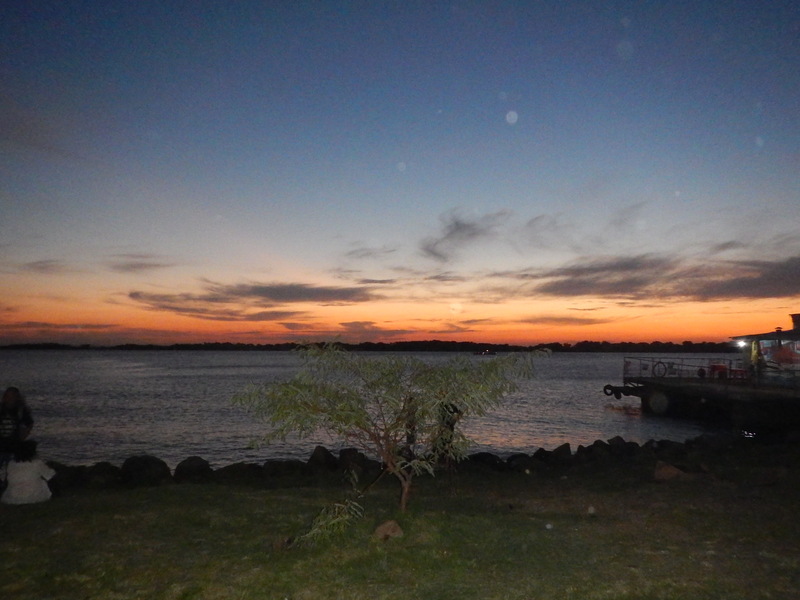 I spent a few days in Porto Alegre after touring much of southern Brazil. Friends of mine who call the city their current or former home are very proud of their city. Porto Alegre and Rio Grande do Sul also have a very interesting history. I decided to make a trip there and check it out for myself and visit friends as well. One easy way to take in the city is to take a tour with the Linha Turismo, a 90 minute loop tour operating from Tuesday to Sunday. While this popular city park was officially established in 1935, to commemorate the 100th anniversary of the Farroupilha Uprising, the land on which the park sits had been donated to the city of Porto Alegre in the early 19th century. The park is also known as Parque Redenção or simply Redenção to commemorate the end of slavery in Porto Alegre, which occurred prior to the nationwide abolition of slavery throughout Brazil. French architect Alfred Agache designed the park. 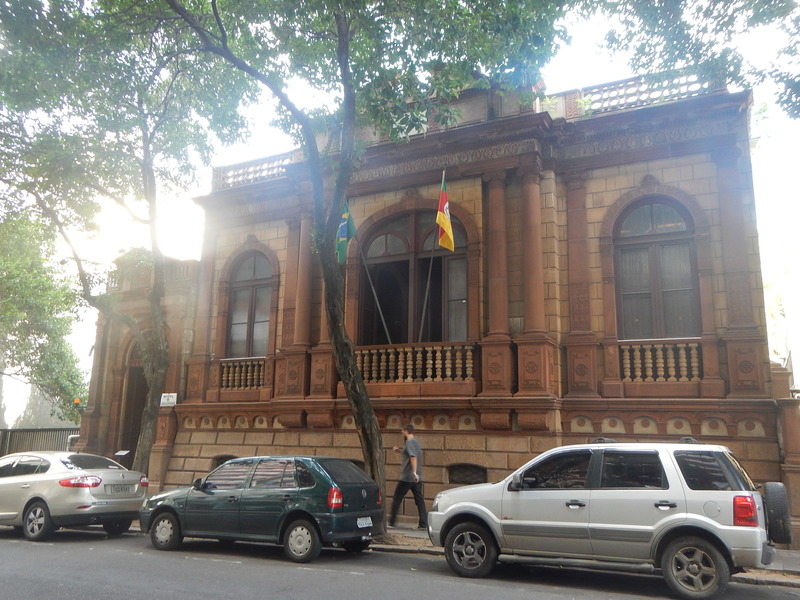 Some interesting buildings close to the park are the Capela de Bonfim and the Colegio Militar de Porto Alegre. 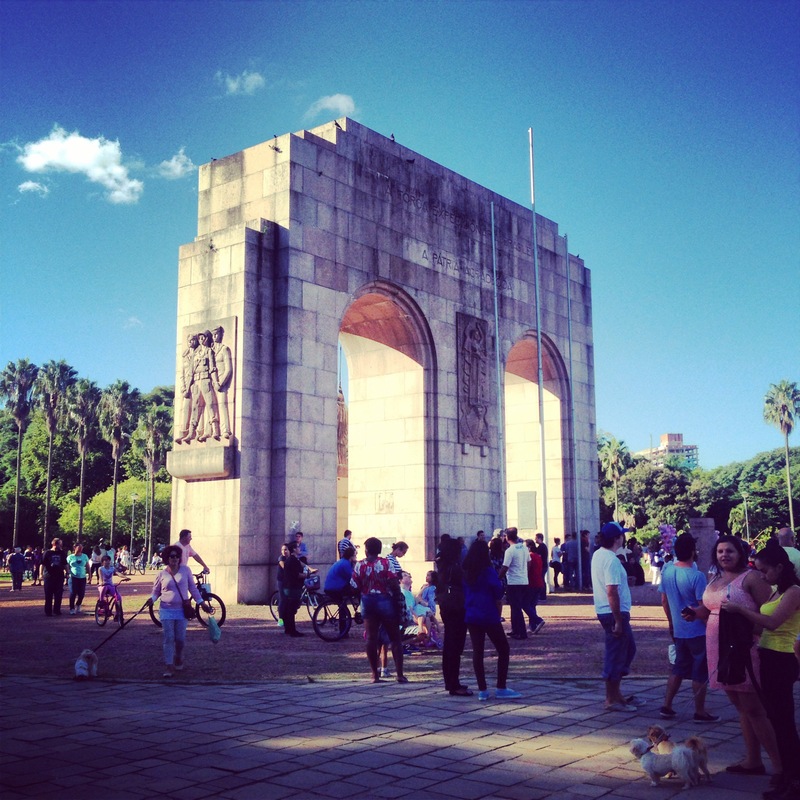 Within the park are some large fountains and a monument with two arches, commemorating Brazilian soldiers who fought alongside the Allies during World War II. Sunday afternoons are an especially popular time to visit the park. Stalls are set up offering various arts, crafts and food items. People play sports, socialize, sip chimarrão or simply soak up some sun. This area of the city was once a wooded area that harbored bandits and fugitive slaves. By the end of the nineteenth century, with the introduction of tram lines, this area filled in and became urban. Today, it is a bohemian neighborhood, favored by artists, hipsters, students, gays and replete with restaurants and bars. 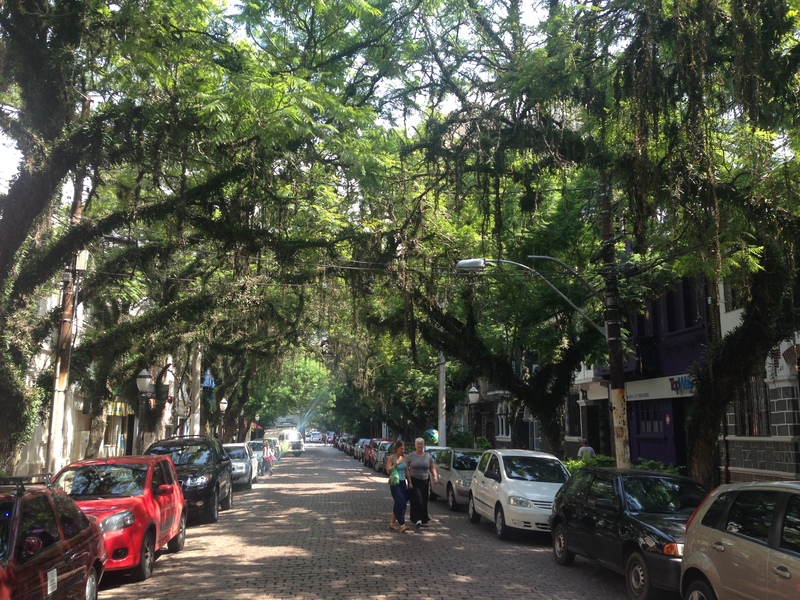 A particularly pleasant walk in the Cidade Baixa is along the tree lined Rua Republica that leads you to the Parque Farroupilha. Be sure to get an ice cream at the Joia Sorveteria on Rua Republica and if you’re hungry for dinner, stop by Tudo Pelo Social on Rua João Alfredo for some delicious Brazilian food. Gaúchos often call Lago Guaíba a river, but it is in fact a lake. The banks are lined with park lands and are a favorite for runners. Closer to the city center is the Gasometro, an old power plant that has been restored and converted into a cultural center. The steps below the Gasometro are a favorite place for gaúchos to congregate on weekend afternoons and also to enjoy the sunset over Lake Guaíba. Companies offer boating excursions on the lake, but I unfortunately did not have time to take one. Moinhos de Vento means “windmills” in Portuguese. This stylish neighborhood was named after the windmills erected by Azorean settlers in this area in the early 19th century. Like the Cidade Baixa, a streetcar line contributed to this area’s urbanization; however, this neighborhood has consistently been considered a wealthy neighborhood throughout its history. While it is primarily a residential area of expensive high rise apartments, Moinhos de Vento also has a good number of shops and restaurants. Cafe Press is a particularly trendy place to have a coffee or meal. The neighborhood also has a pleasant park, Parque Moinhos de Vento or the Parcão. This park was built on the site of the Independencia Hippodrome where the wealthy used to come and watch horse races. The park has several interesting art sculptures, turtle ponds and, appropriately, a windmill. 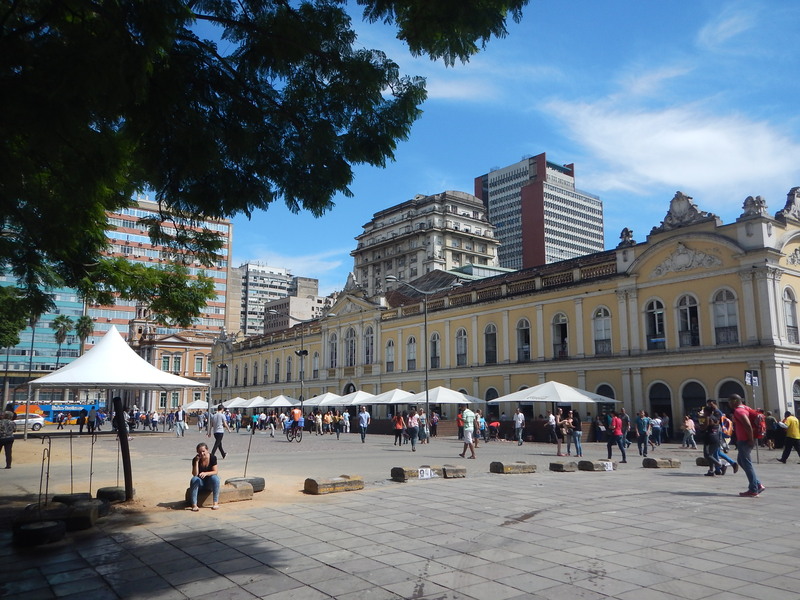 Considered to be the heart of the city of Porto Alegre, the Praça da Matriz (also known as the Praça Marechal Deodoro) is surrounded by three remarkable historic buildings: the Metropolitan Cathedral, an immense neoclassical place of worship; the Teatro São Pedro, a gorgeous yellow neoclassical building dating back to 1858; and the Biblioteca Publico, a beautifully restored building dating back to the 1870s, adorned with sculptures of great figures in literature. In front of the cathedral stands a towering monument of sculptures, commemorating Julio de Castilhos, a journalist, politician and president of Rio Grande do Sul. The square is a essential place for absorbing the history of the city. The building housing the Mercado Público dates back to the 1860s, with modifications after fire and flood. The city had planned to tear the building down, but preservationists successful rescued the building from the wrecking ball. Restoration efforts are ongoing on parts of the building, but it is still interesting to admire from the outside. On the inside, the market is active with food vendors much like other large central markets in cities in Brazil. It is a great place to wander through and sample some snacks and sweets. This art museum is housed in a beautiful neoclassical building facing the tree-shaded Praça da Alfândega. 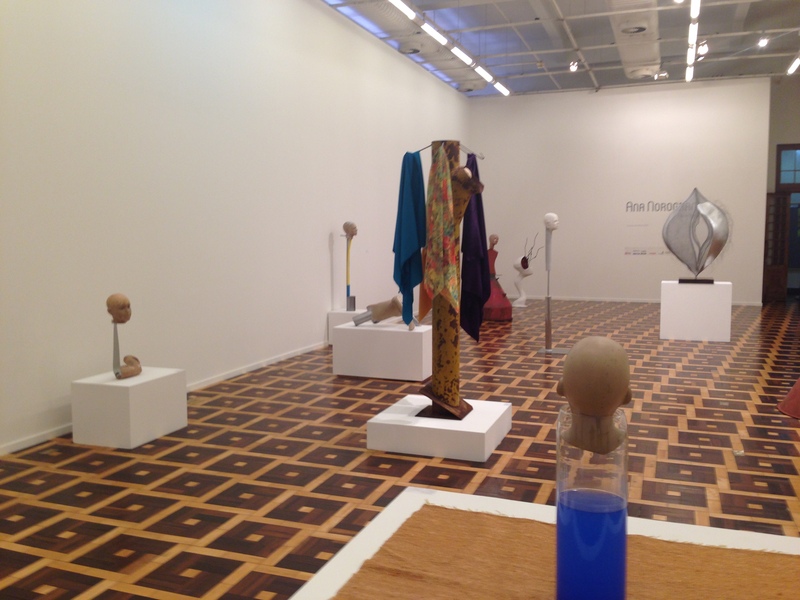 It offers fascinating exhibits from gaúcho artists. Rio Grande do Sul has a distinctive history from the rest of Brazil. At times, it has rose up in rebellion against Brazil itself. During the Ragamuffin War or Farroupilha Revolt, Rio Grande do Sul was a republic fighting against the Empire of Brazil from 1835 to 1845. In the late 1970s, Porto Alegre was a center of trade union protests against the military dictatorship. 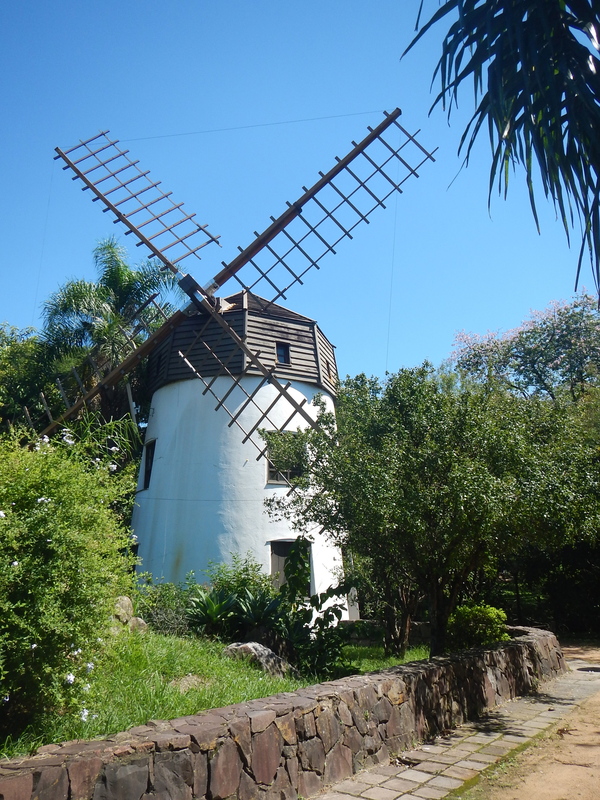 A great place to learn more about the history of the gaúcho’s land is the Museu Histórico Júlio de Castilhos. The displays you encounter on a walk through the rooms of this historic house illustrate the history of the region. While some of its buildings are in disrepair, Porto Alegre has retained a great deal of its architectural heritage where other cities have simply torn buildings down to make may for more modern buildings. I was really impressed with the variety of styles and colors of the buildings especially in the historic Centro neighborhood as well as other parts of the city. I am working on a separate blog entry to share some of the photos of the amazing buildings I saw throughout Porto Alegre. Chimarrão is a tea that comes from the maté plant. It is very popular in Rio Grande do Sul and if you’ve visited Uruguay or Argentina, you’ve probably noticed people drinking it there. The tea comes from steeping the dried leaves of the yerba maté plant in hot water. It looks like nasty green goop which drinkers put into a gourd. They sip it through a metal straw (bomba) that has holes in it to filter out the green goop. Gaúchos love to go to the park and share chimarrão with family and friends, enjoying the strong rush of caffeine the beverage gives them. 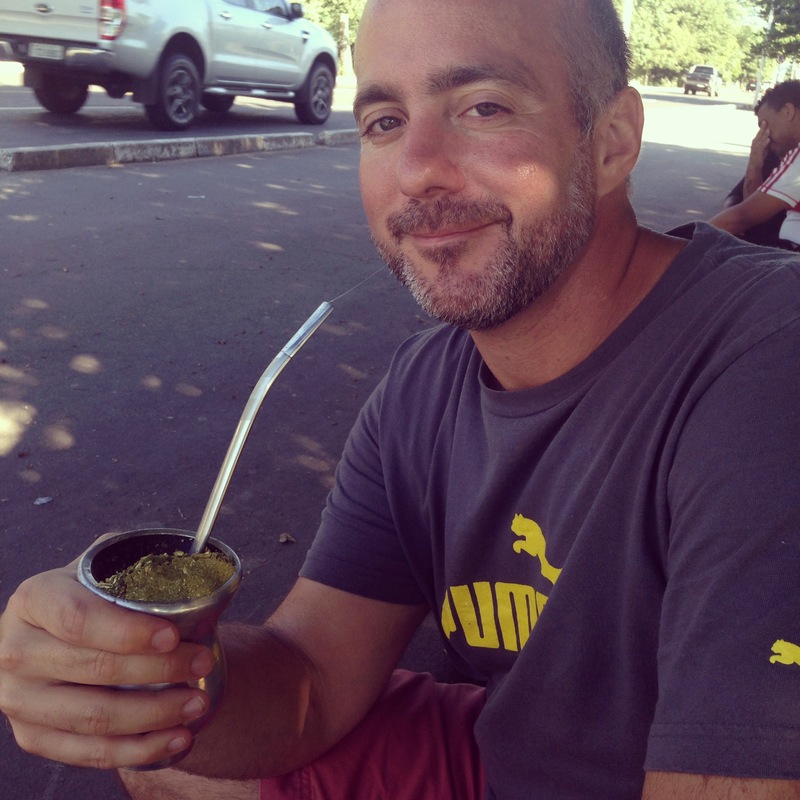 A gaúcho friend of mine let me try some of his chimarrão while taking me on an informal tour of the city. I thought it tasted like strong tea, somewhat bitter, but not terrible. A lot of people don’t really like the taste. Even if the taste of chimarrão is not the most delectable, the friendly ritual of sharing maté is incredibly sweet. 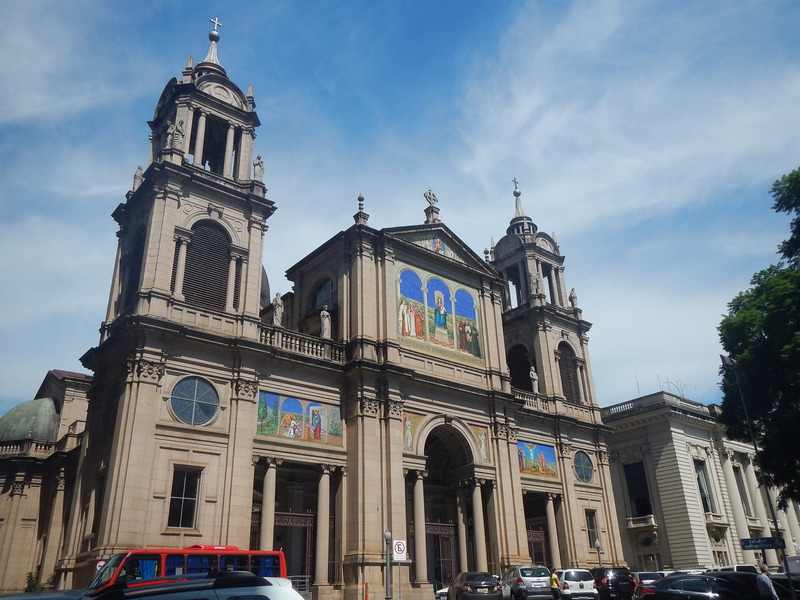 Overall, I found Porto Alegre relatively easy to get around using the bus system as well as the Linha Turismo. I stayed in Moinhos de Vento and the Centro and would be more likely to recommend Moinhos de Vento as the Centro is somewhat gritty and dodgy. A couple quintessential Porto Alegre things that I missed were eating churrasco (although I’ve had it before), going to a Gremio football game and visiting the Fundação Iberê Camargo. 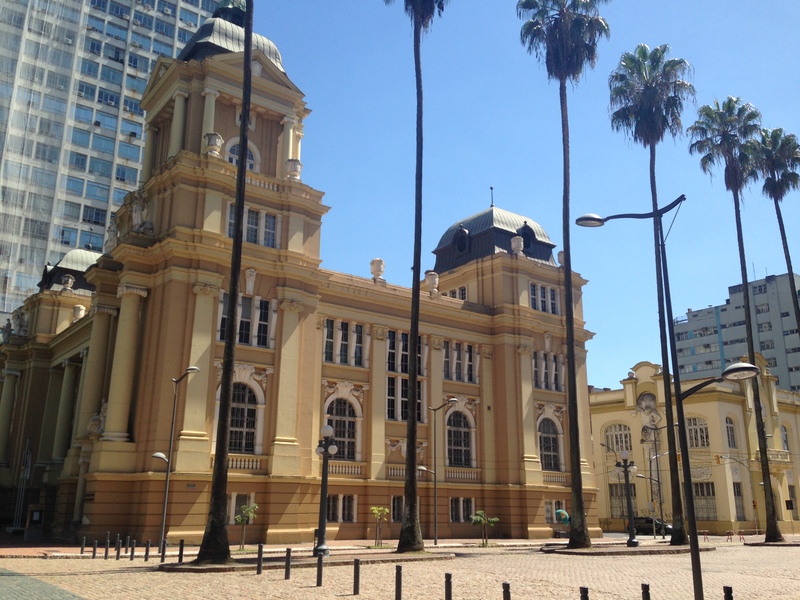 Have you been to Porto Alegre? What would you have put in your Top Ten list of things to enjoy there? Jeff amigo! Adorei a sua percepção da minha cidade e bom saber que ela e vista com bons olhos e que o Rip Grande assim como Porto Alegre continuam sendo símbolo de hospitaleiramente e cordialidade com nossos amigos de plagas distantes. O rio grande lhe aguarda de braços abertos e com um forte quebras costelas símbolo de nossa amizade e companheirismo. Abraços saudosos Guilherme Sroka. Obrigado amigo! E obrigado pelo chimarrão e o passeio também! Thank you for your interest in my Guyana post on My Little Rio Journal blog.